Give Your Vehicle a Whole New Start with Used and Recon Engines. 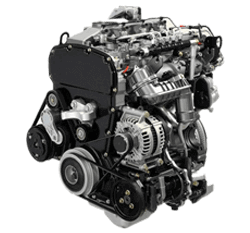 Search our stock for a top quality used engine for your Suzuki Vitara Diesel. Car Engines promise to offer you the cheapest prices and guaranteed low mileage. Each second hand engine has been carefully selected by our engine experts and then put through a series of quality tests to make sure that our customers get only the best for their money. Enter your registration details above or choose your Suzuki Vitara Diesel model from the list on the left hand side.